It’s still raining here today and I still have plenty of stories to tell from my rides this summer. I had big ideas for this summer, going to Alaska was one of them. In the end, there were only rides not too far from home. Still it was a good riding summer. I want to write about my trip to the Marshall Islands that I mentioned on my previous post, but it will have to wait, I’m still organizing my thoughts on that one. This ride to Portland I’m reporting here took place August 10th and 11th. 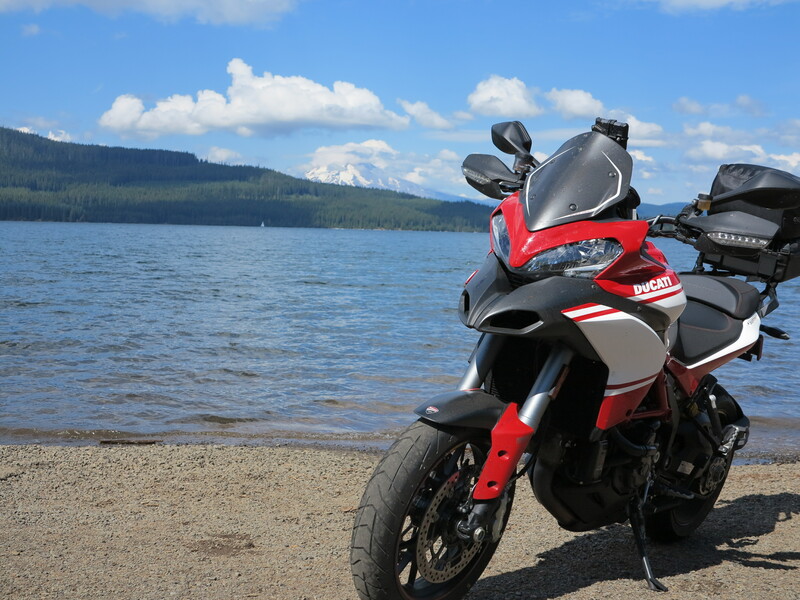 And again, the Multistrada was my companion on this trip. 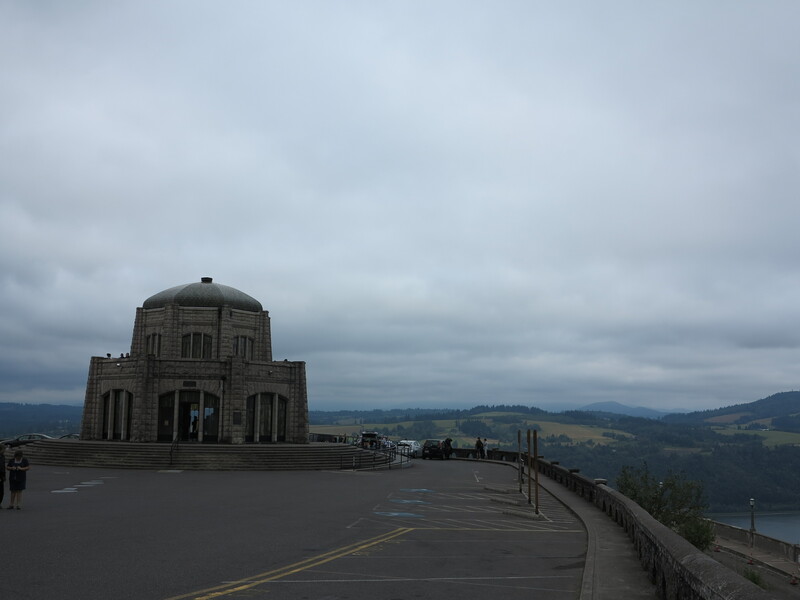 This time I took the Willamette valley to go up north, the back roads to Kings Valley. 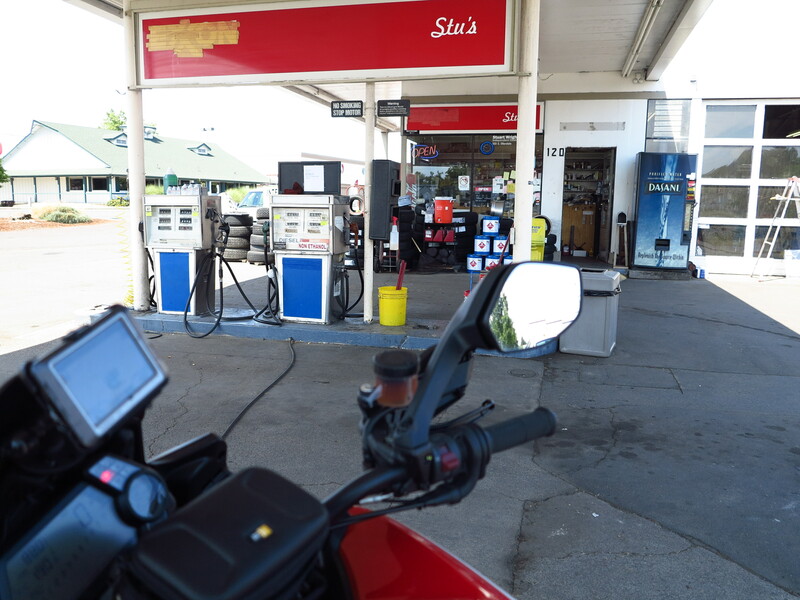 Yes, let’s fill the tank with non-ethanol gas at Stu’s gas station. 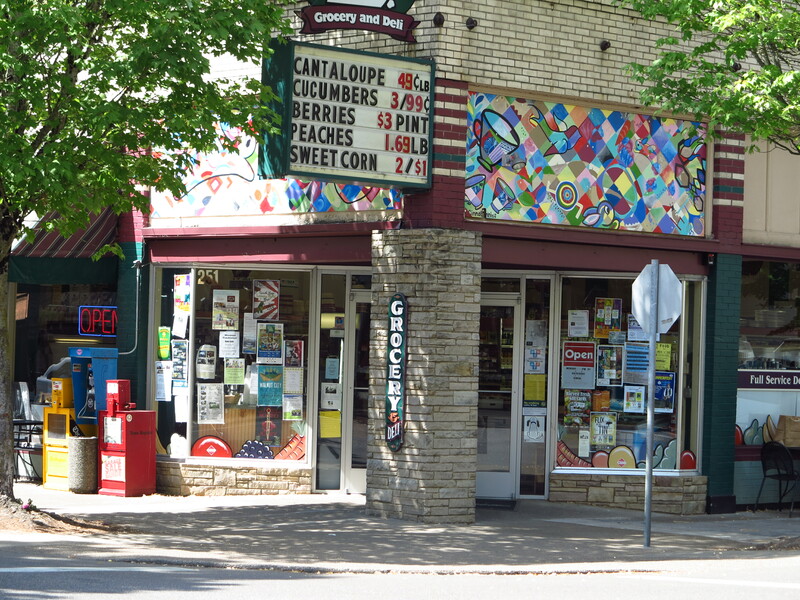 Next stop, McMinnville for water and a granola bar. And from there I got into some traffic, including stop and go moments, until I hit the I-5 for the last few miles going through Portland and then arriving in Vancouver. Great times with my old friends. The next morning they were going camping. I had to go back to Eugene. But since I was not going to take I-5, I went along with them to their campsite, somewhere close to Mt. Hood, and from there I would take back roads on the Cascades all the way back to Eugene. 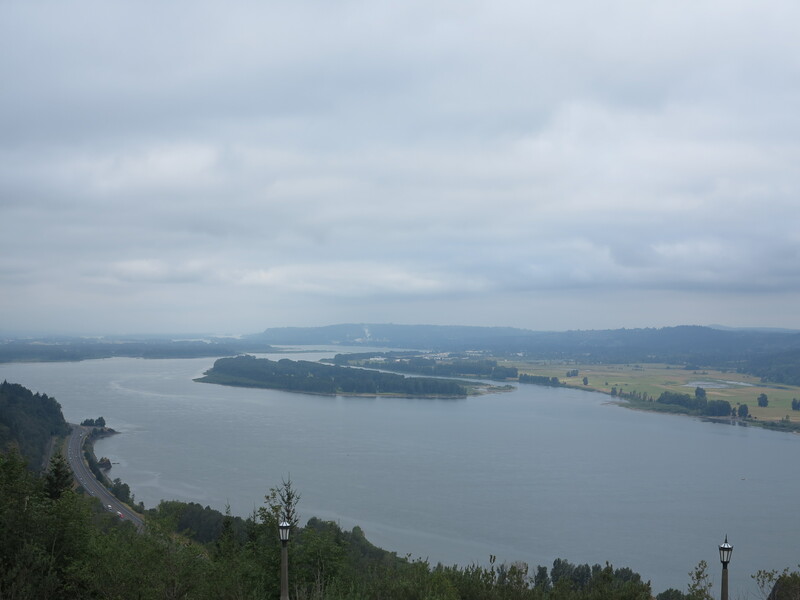 I decided to take Hwy 30 and do the west portion of it, the green side of it at the Columbia Gorge, the area I missed last time when I was in a hurry to get to Portland. Skies were threatening, looking like rain, but the forecast said otherwise. I was confident on a no rain scenario. Stopped at the visitor’s center further down the road. When I first came to Oregon, it was to attend a meeting at the Skamania Lodge, not too far from here, on the Washington side. That was more than 10 years ago. 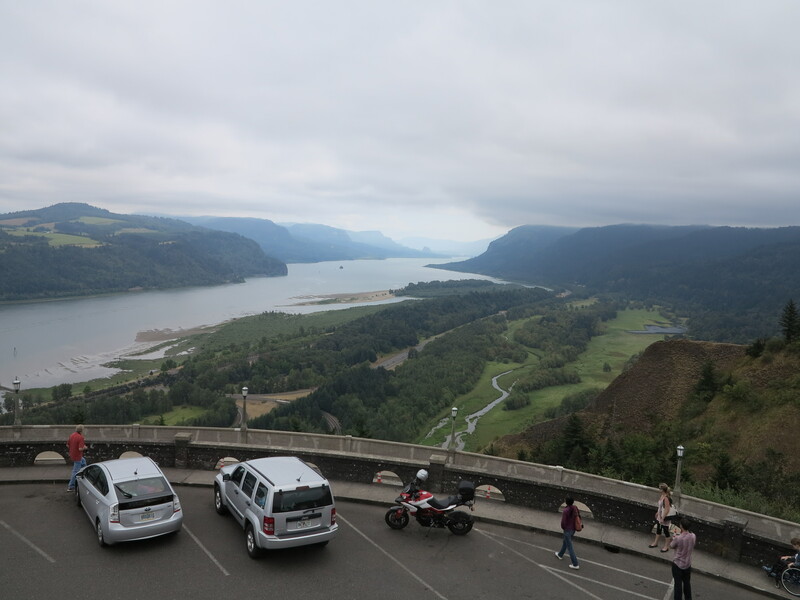 My second visit to Oregon was a fly from Columbus OH and drive from Portland to Columbus, when my friend Sierk came to pick a car and we drove it back to Ohio. 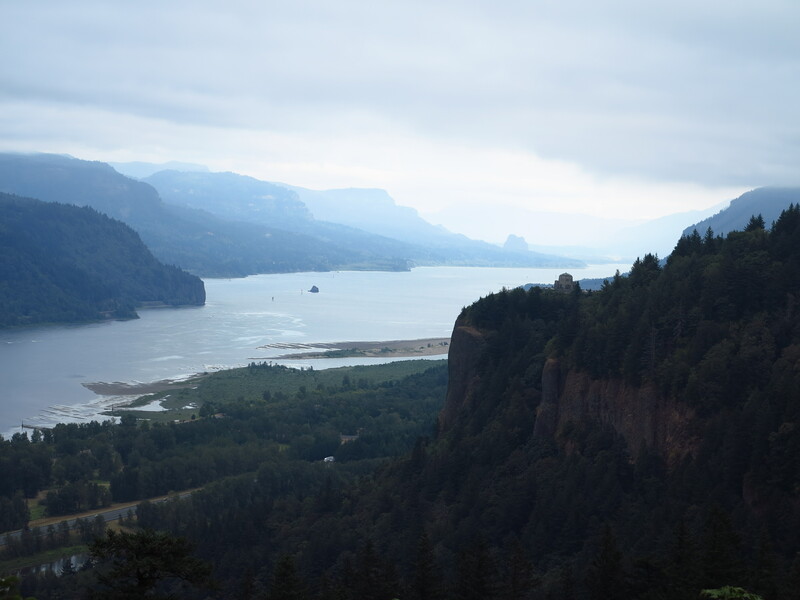 I remember him describing the drive out of Portland on I-84, how the Columbia Gorge would gradually turn from green to a desert as we moved past the Cascades area. And the sense of wonder when we did it and I saw the changes from green to desert. 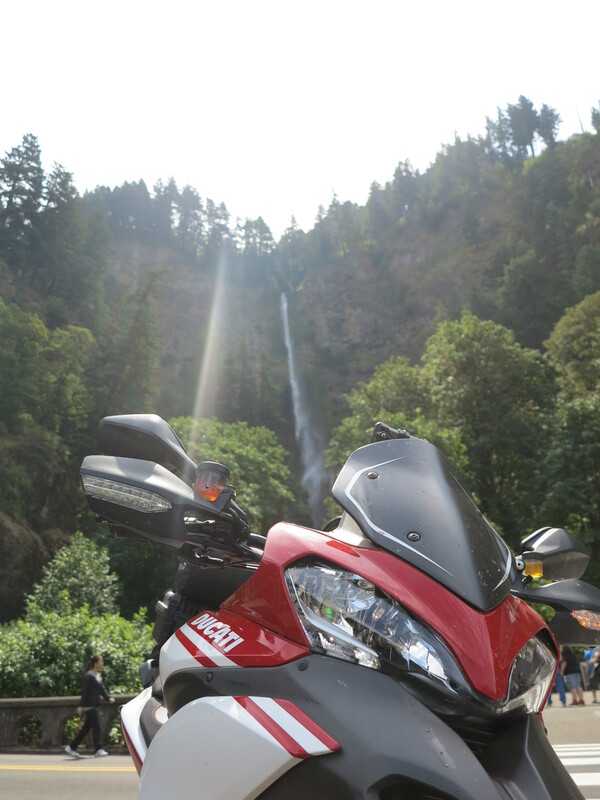 A quick stop at the Multnomah Falls. 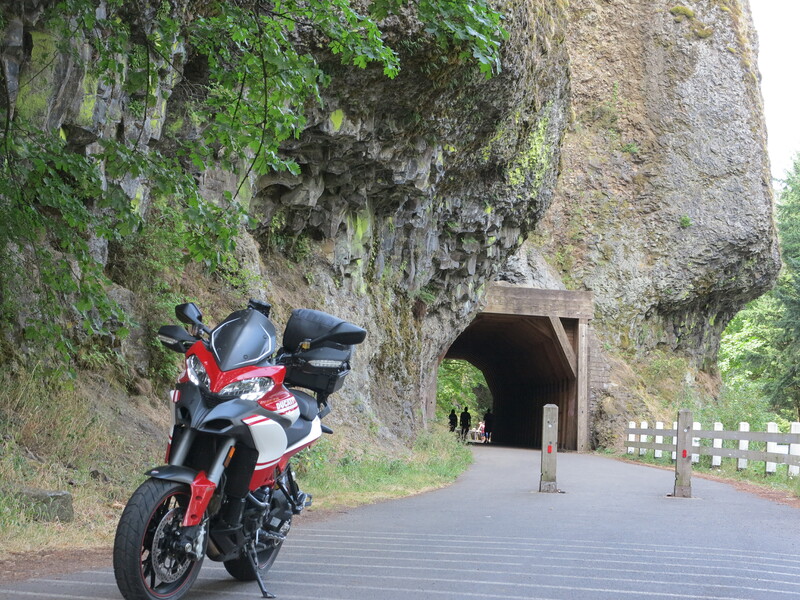 Another stop at one of the old tunnels of historic Hwy 30. 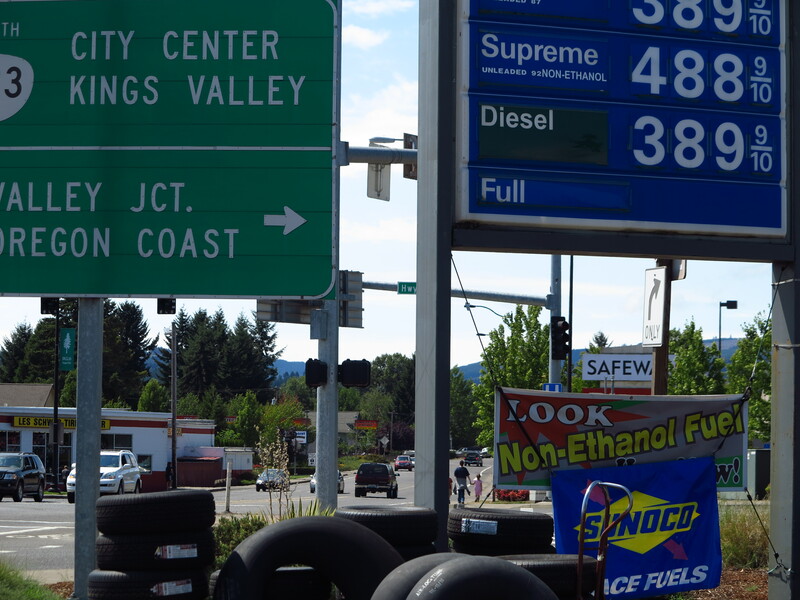 And then I took Hwy 36 south, with a stop for, surprise, surprise, non-ethanol gasoline! 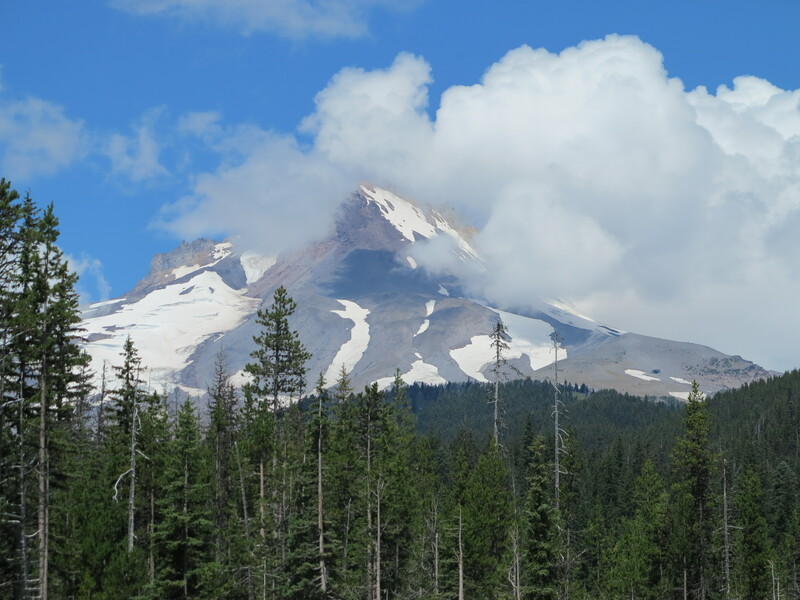 And a close up view of Mt Hood. 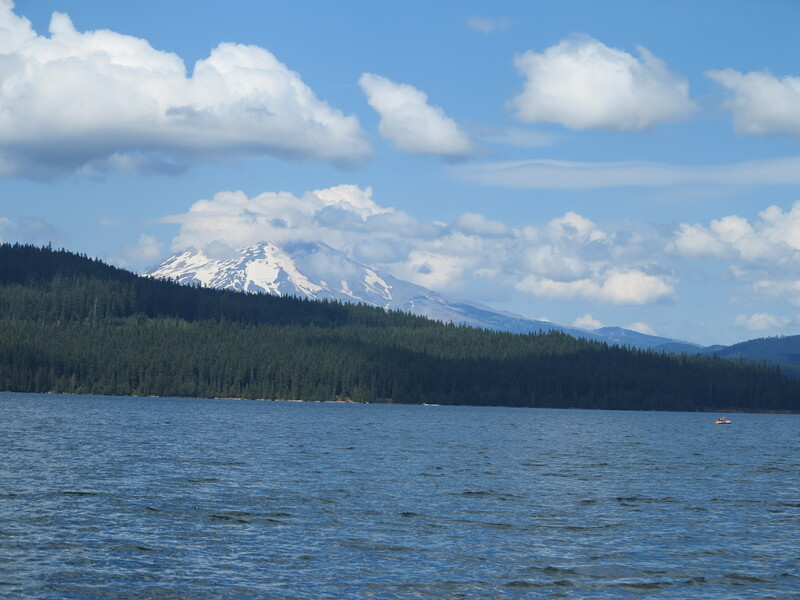 And I was at their campsite, on Timothy Lake. 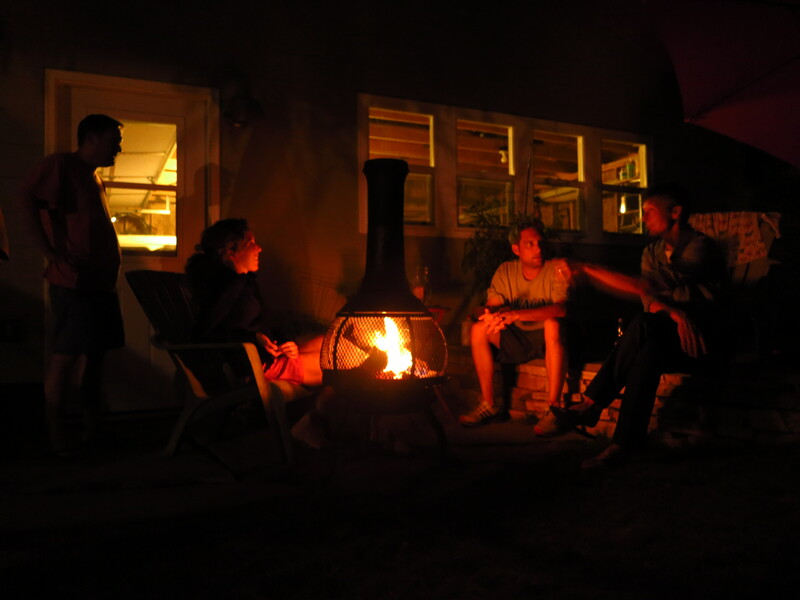 I hang out for a little while with them and then continued on my journey down to Eugene. 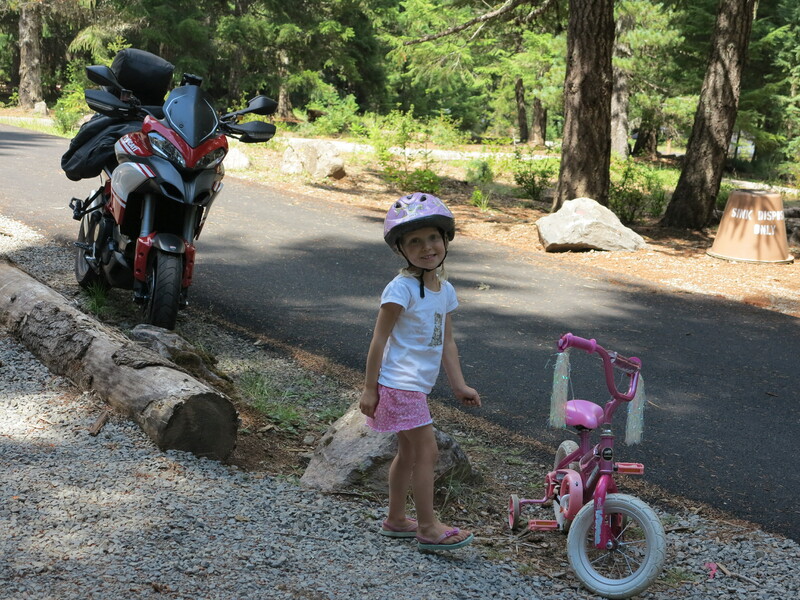 One more picture, with the bike, for good measure. 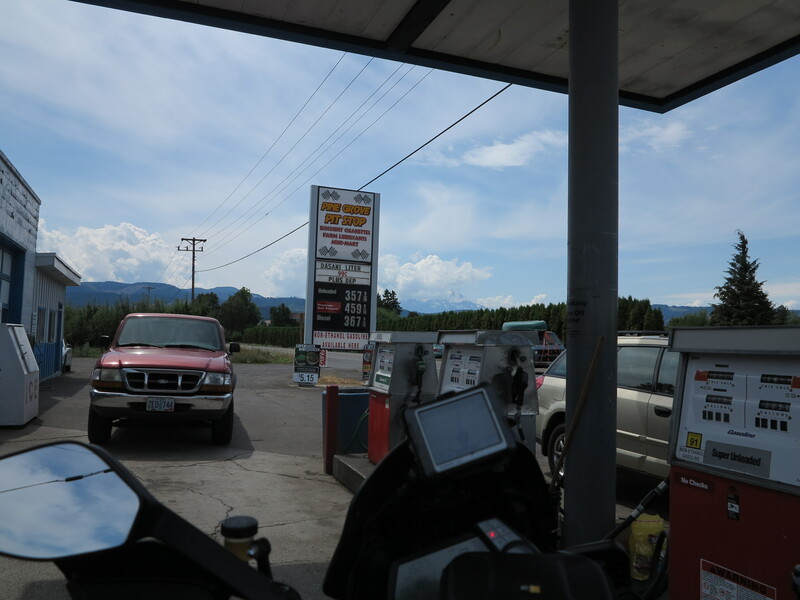 And from there I took some nice back roads to Detroit Lake and continued south to Brownsville and from there I crossed I-5 to find 99 on the west side and get home via Prairie Road after going by Junction City. 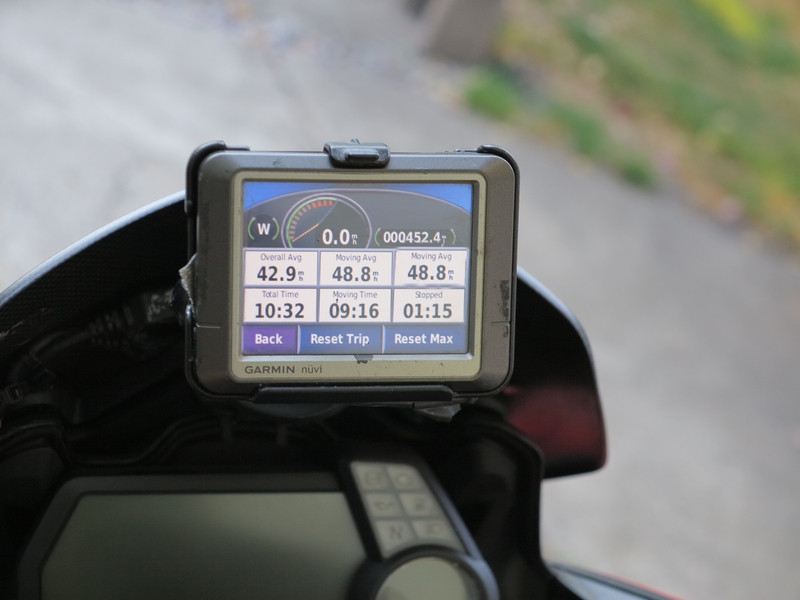 Total for this small trip, 452 miles (727 km). This bike amazes me. As I look outside my home office window, I see the rain… it has been raining for the most part of this weekend, it seems it will rain forever. 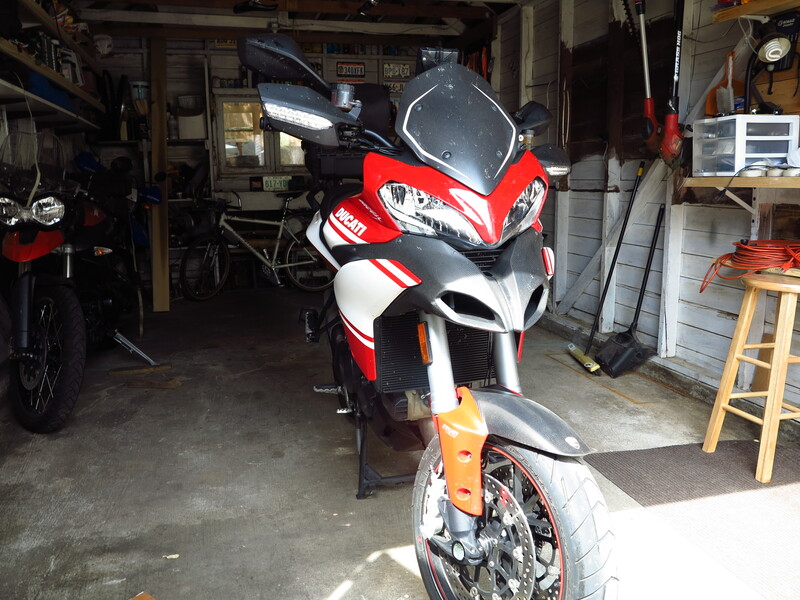 And I already miss riding my Ducati. 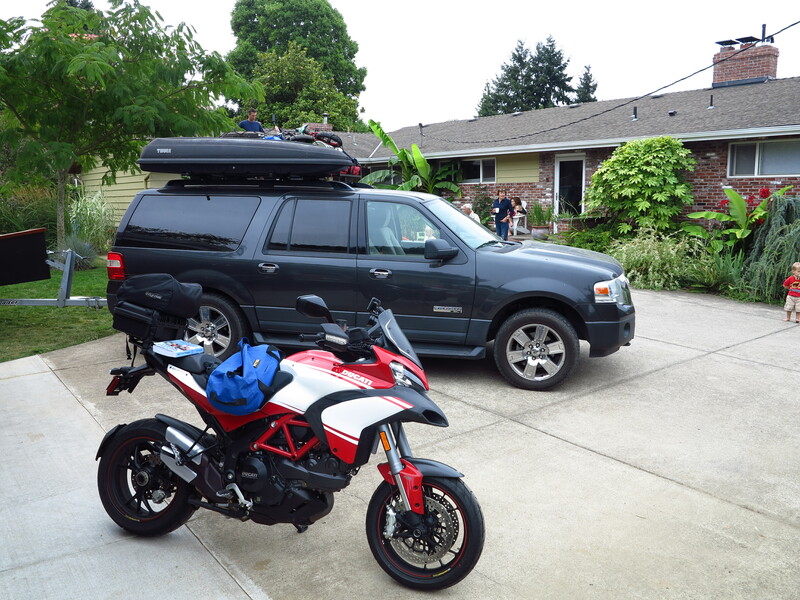 Up next: preparing the Tiger for off pavement riding adventures. Thanks for the ride report of sunnier days. Hard to believe after such a dry summer September has been what it is. Still raining here in Corvallis this morning and a section of our side fence blew down yesterday afternoon. Bugger. Yes, this is a ridiculous amount of non-stopping rain. It is a monsoon of sorts. I would not like to be in the wine making business at this time. But ranchers and other farmers on the traditionally dry side are probably enjoying a break on the drought. Sorry about your fence blowing down. I’ve been monitoring my garage and some previous flooding points that pooled water inside my garage. I had to make some adjustments a couple of weekends ago, and the garage is mostly dry, despite all this water coming down, so far (knock on wood).